Pac-Man. The voracious pill-popper and ghost-eater has been Namco's mascot since 1980. Mario. Almost every Nintendo character is a mascot, but Mario has remained their preeminent symbol for decades. Opa-Opa. Sega had a series of mascots over the years. The original was the winged ship from Fantasy Zone. Alex Kidd. Alex Kidd followed Opa-Opa as Sega's primary mascot during the Master System era of the late 80s. Sonic the Hedgehog. Sega's third mascot stuck in 1991 and remains one of the most popular and recognizable characters in games. Captain Commando. Capcom's first mascot appeared solely on game boxes and ads in the 1980s and made little impression. Mega Man. As Capcom's most famous character, the Blue Bomber eventually became the company's mascot. Chocobo. Square's unofficial mascot has long been the cute, mythical birds from Final Fantasy. Slime. Similarly, the slime is the mascot for Dragon Quest and Enix, who merged with Square in 2003. Bonk. Bonk the Caveman was the star of a few great platformers in the 1990s and the official mascot of NEC's Turbo Grafx 16 console. Bubsy. This failed attempt at a mascot reeked of market testing, like an ungainly Frankenstein of Sonic, Garfield and Chester Cheetah. One of many Poochies found in videogames. Gex. Crystal Dynamics' gecko mascot was an annoying motormouth voiced by future Simpsons producer Dana Gould. Crash Bandicoot. Sony's original Playstation mascot was successful in the late 90s but didn't have staying power. Spyro. Another early attempt at a Playstation mascot, Spyro the Dragon was later used to launch Skylanders. Master Chief. Master Chief has been the helmeted, emotionless face of the Xbox since 2001. Marcus Fenix. The perfect spokesman for the 360: He's a gruff, blood-soaked killing machine. Nathan Drake. He's more personable than Fenix, but Drake's body count might be even higher. Sackboy: Sony's adorable throwback to the traditional type of game mascot debuted in 2008's Little Big Planet. The concept of the videogame mascot might feel as antiquated as the Saturday morning cartoon, like a remnant from the days when games were largely marketed to kids. It’s no surprise that the type of game character we associate as a traditional mascot generally comes from games that aren’t rated M.
A mascot isn’t just a cartoon for kids, though. It isn’t even just a popular character. It’s a summation of a company’s identity, the image it wishes to project to the consumer condensed into a single character design. From the nonthreatening playfulness of Mario and Bonk to the 90s attitude of Sonic the Hedgehog, mascots seek to capture the essence of a marketing campaign, ostensibly offering a glimpse of the fun and action to be found within a silver disc or plastic cartridge. Nathan Drake and Marcus Fenix are examples of the modern-day mascot. When they pop up in Sony and Microsoft ads their masculinity, one sardonic, the other solemn, speaks volumes about how those companies want their machines to be seen. They’re not mascots in the traditional cartoonish mold, but they serve the same purpose. Publishers have utilized mascots since the earliest days of gaming, often replacing them when new hardware launches or when characters fade in popularity. Some are introduced with great fanfare only to stall out of the gate. 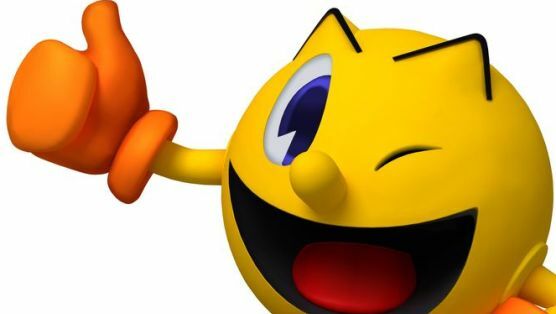 Here’s a brief sampling of some of the more notable and infamous mascots from gaming history.